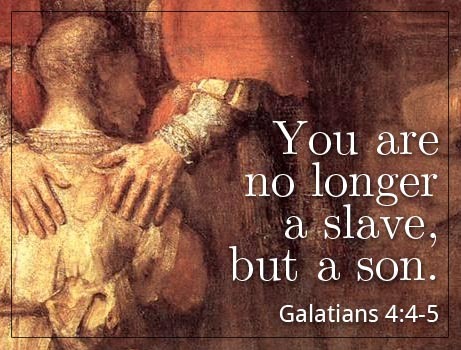 Are You A Slave Or A Son? Muslims believe that they are slaves of Allah. 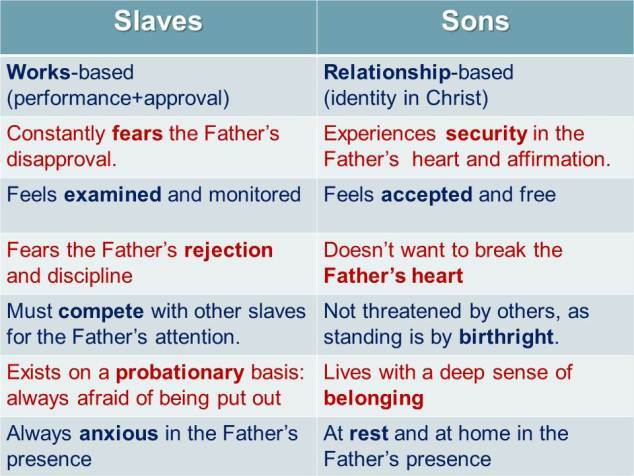 Christians who have accepted Jesus as Lord and Savior believe that they are sons* of God the Father. *(the meaning of ‘sons’ include both sons and daughters). A slave has no personal relationship with his master. A son enjoys a precious personal relationship with his father. A master uses his slaves. A father nurtures his sons. A slave serves his master with the motive of receiving a reward. A son serves his father in gratitude because he already has the promise of the reward of inheritance. A slave cannot inherit the kingdom of God. A son is the heir of the kingdom of God. Christians pray and read the Bible to grow in intimacy and relationship with God. Christians fast voluntarily to spend time in devotion to God. Muslims do good deeds to try and outweigh their bad deeds. Christians do good deeds to honor the Father’s name. Muslims do not know if they will be accepted by Allah. Christians know they have been accepted by the Father though Jesus Christ. You cannot buy your way into heaven. You cannot bribe your way into heaven. You cannot work your way into heaven. You cannot earn your way into heaven. You cannot lie your way into heaven. You cannot pay your way into heaven. The payment has already been made on your behalf. Whether you accept this payment or not, is your choice and your decision will determine your eternal destiny. Who Can Bear My Sins? Some people point to this verse as proof that Jesus did not and cannot die for our sins. But wait. Is this verse referring to Jesus Christ? 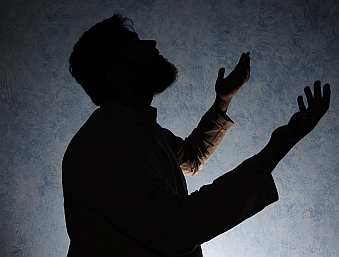 Did Jesus Christ die for His Father’s sins? Did Jesus Christ die for His son’s sins? Nonsense. This verse does not apply to Jesus Christ at all! Who is this verse in reference to? It applies to YOU and ME! This verse is simply saying the truth that you and I cannot die for one another or anyone else because we ourselves are guilty of our own sins. We are to bear our own punishment and die for our own sins! Does the judge say, “Oh OK. Since you’re bearing your father’s punishment, then he’s free to go”? Of course not. You cannot bear someone else’s punishment. That applies to every human being because WE ARE ALL SINNERS. The point is only someone who is sinless and perfect could possibly take our punishment, because he would not need to die for his own sins. Is there any human being in history who is completely sinless? Everyone born from Adam has his blood and the same ability to sin that Adam had. That is why someone who can be a savior from sin has to be born outside of the natural human line. If he is born from a man and a woman, like everyone else, he will carry that same corrupted sin nature and will fall into sin just like every one has since Adam. The only way would be if someone could be born miraculously, not in the natural way, in a way that would bypass human intervention. Like through a virgin, for example. This person would not inherit the tainted blood of Adam like all human beings. 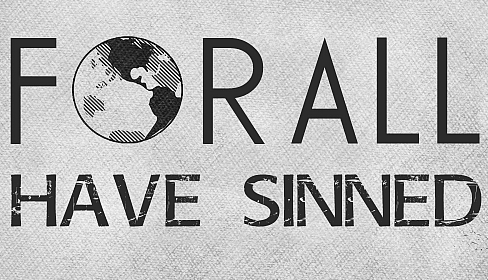 He would not have a corrupted sin nature like you and I and he would be perfectly sinless. Only such a one, could bear our punishment of sin and save us from death. But this is nonsense, isn’t it? How can a virgin give birth? Do you know anyone who was born of a virgin in all of earth’s history? If you do, only that person can be your savior!